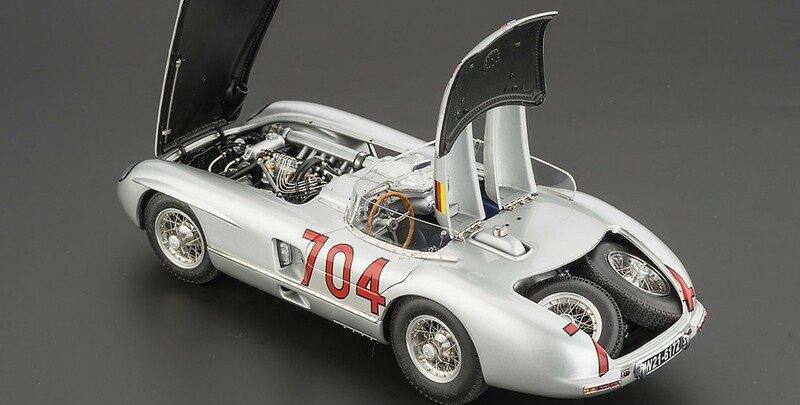 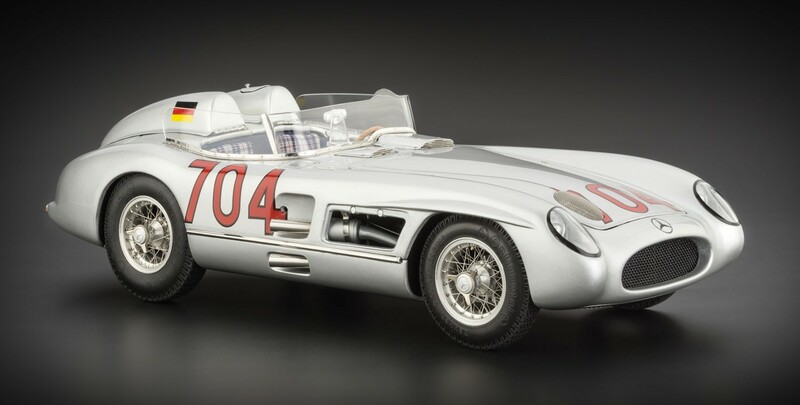 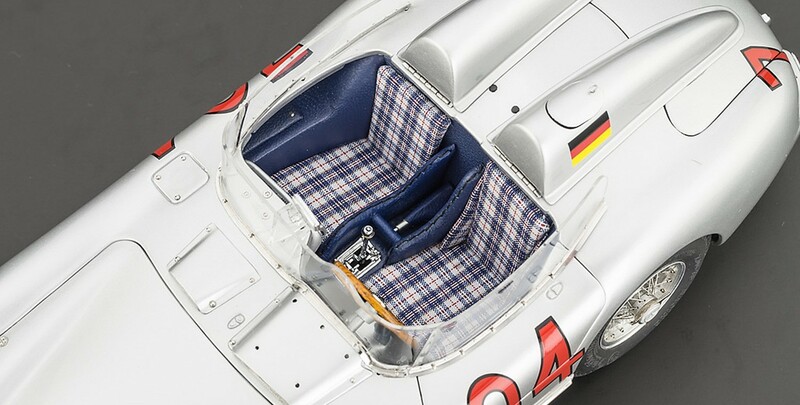 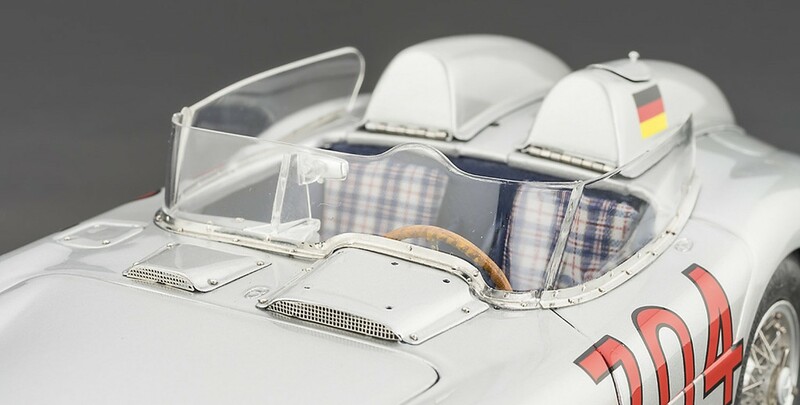 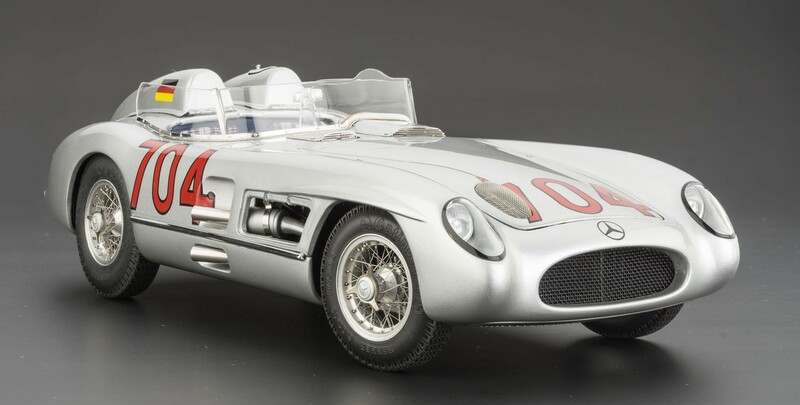 Mercedes-Benz 300 SLR Mille Miglia #704 Hermann Limited Edition 2000 pcs. 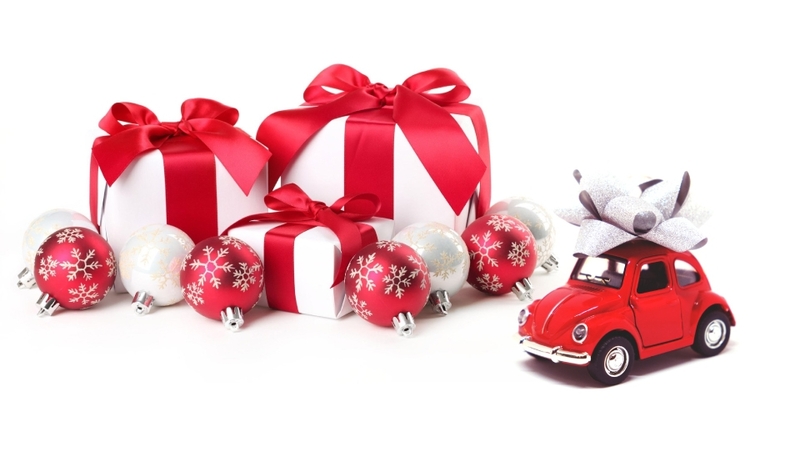 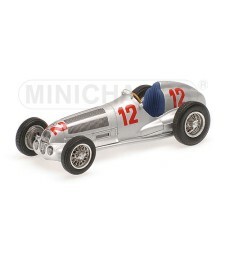 Miniature scale model car made of metal /Die-cast /. 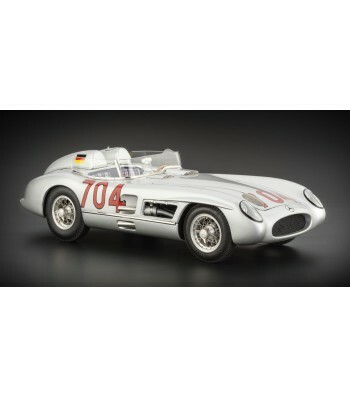 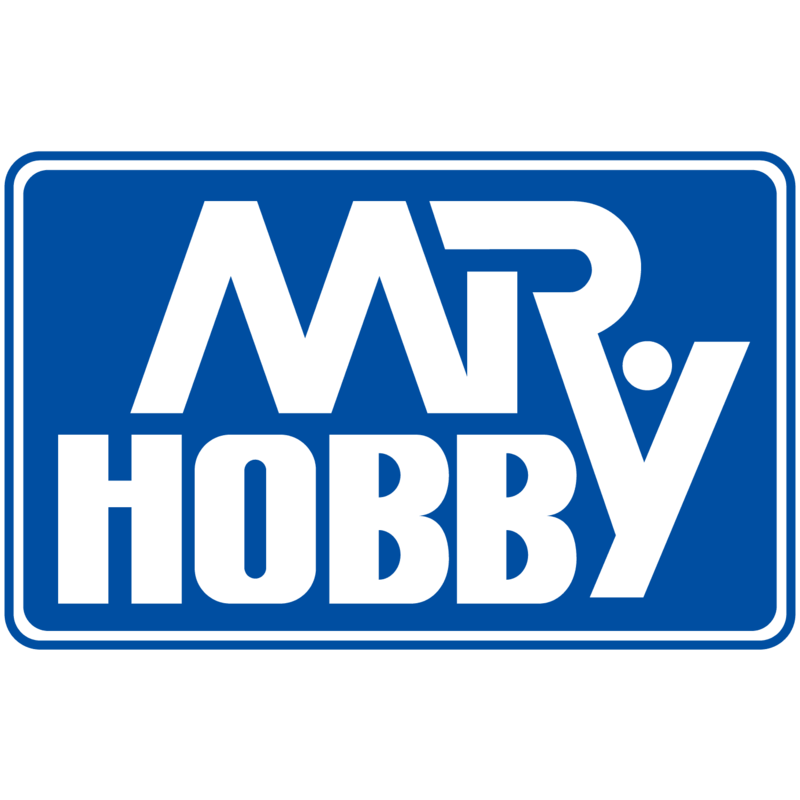 Scale model car made of metal / Die-cast / in 1:18 scale manufactured by CMC Models. 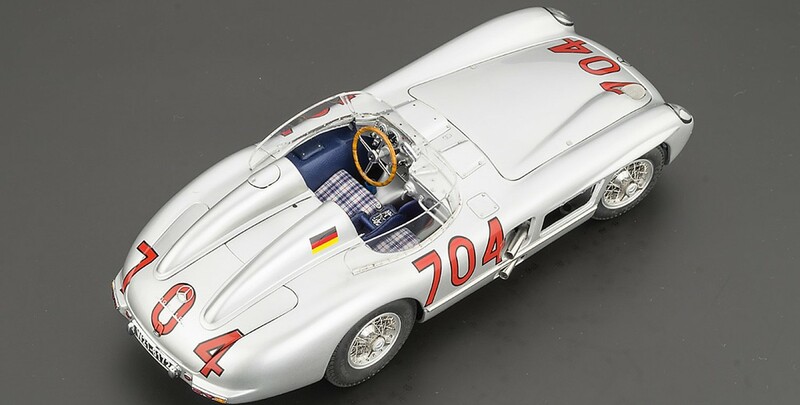 At 7:04 on the morning of May 1, 1955, the 300 SLR with starting number 704 (starting number = starting time) left the launch pad in Brescia, with Hans Herrmann and his co-pilot Hermann Eger behind the wheel to attempt the 22nd championship of the 1,600 km-long Mille Miglia. 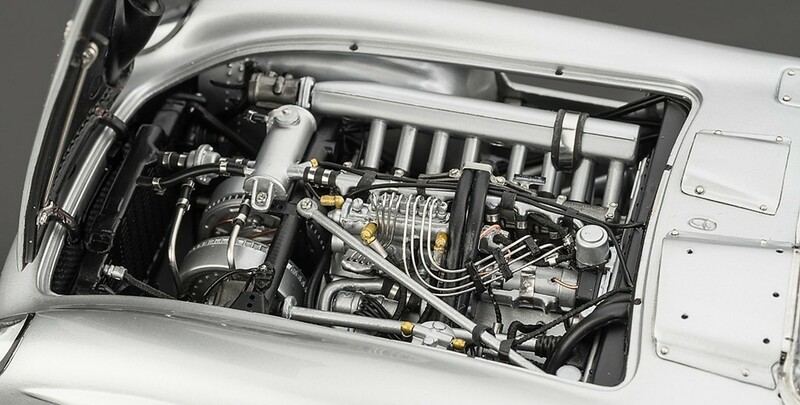 Having covered more than a half of the race, they were forced to retire because the fuel filler cap had come loose, causing a dangerous fuel spill all over the pilots. 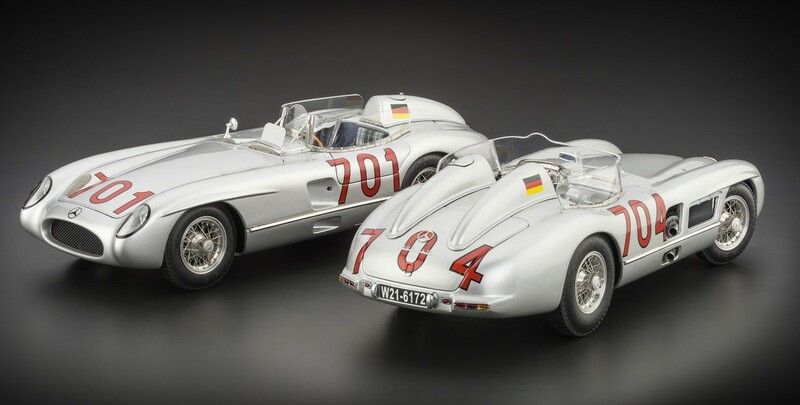 It was a hard decision, as Herrmann was holding a promising lead at the time. 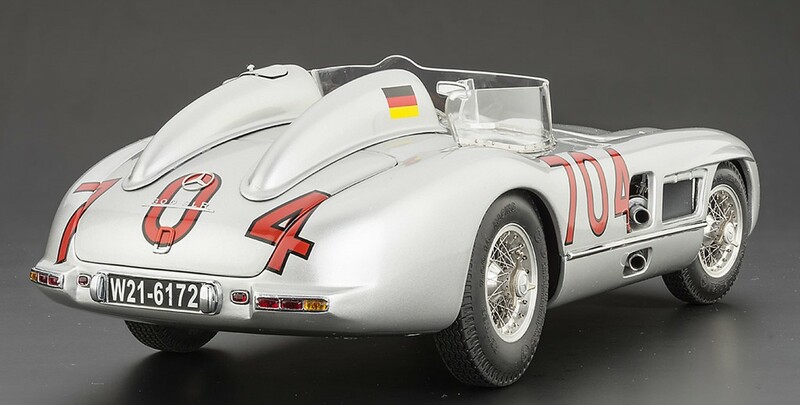 CMC recreated the original Hans Herrmann’s car down to the smallest detail.